As more leaders recognize the value of employee work groups, team environments are becoming common at the office. Studies show that more than 80 percent of organizations employ workplace teams of different kinds, and teams that work well are more productive and come up with better solutions than if individual members had worked independently. So how can you bring the most to your group effort? Here are 3 simple tips for being a successful team player: 1. Build Trust. Trust is the cornerstone of all effective teams, as it means each member can rely on other members to do their part. It doesn’t just happen, though; trust needs to be built. Find ways to develop trust within the group, maybe through problem-solving exercises that require everyone to work together. 2. Encourage Cooperation. A team can’t succeed if members are competing with each other to be top dog. Showcase your personal accomplishments when it’s appropriate to do so, but within your team structure focus on collaboration and mutual support so you can succeed together. 3. Do Your Part. Being ready to share the work is the first step in great teamwork; DOING your share of the work is the second step. Be accountable to your team for the work you’re assigned, and take responsibility for getting it done as and when it’s needed. 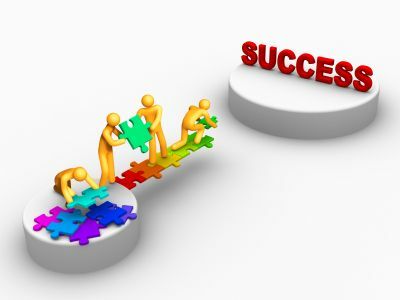 Discover 7 more tips for teamwork success in this article from Quintessential Careers, and practice being a collaborative superstar! Source Office Furnishings — Making Your Office Work Better!